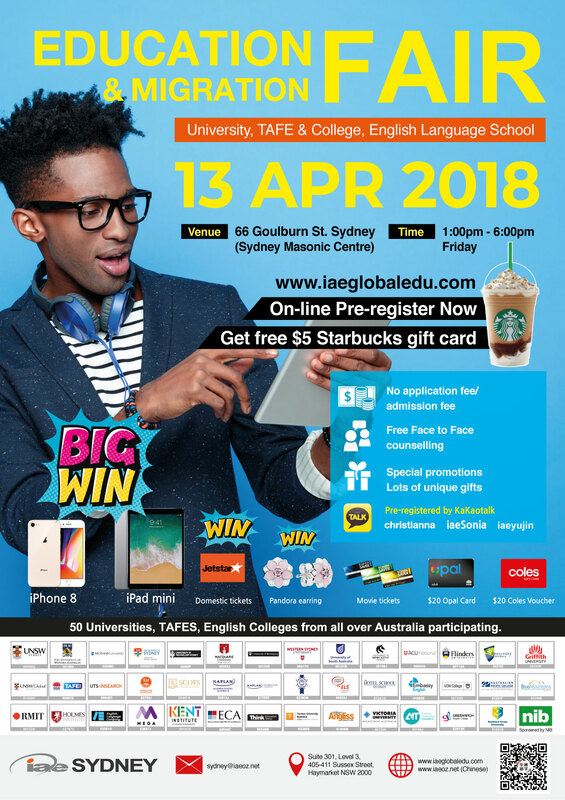 Universities, TAFE & Colleges, English Language Schools. Free to attend. Pre-register today for free $5 Starbucks giftcard. No application or admission fees to all Universities & TAFE & Colleges, English Language Schools. Free face-to-face counselling with education experts. Special promotions and lots of gifts! !